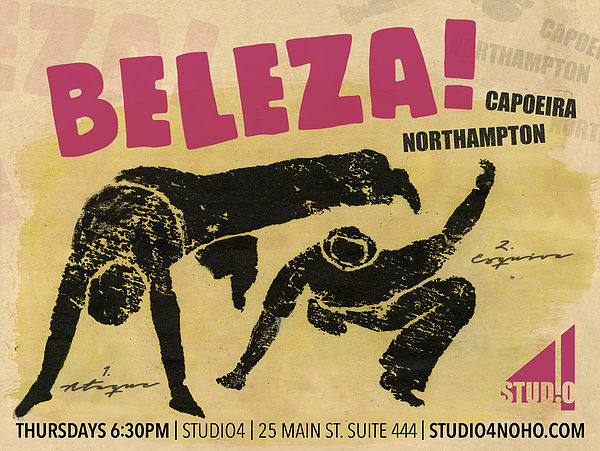 Capoeira is a martial art, game, dance, and spectacle for the eyes. Created by Brazilian slaves in the 16th century, this unique sport combines game-playing and "sparring"in the guise of a dance. The goal of Capoeira is not to win, but to improve oneself and others—ages 8 to 80—through cooperation and creativity. For more than twelve years, Bruno Trindade, known by fellow capoeiristas as "Bicicleta," has been training in the art under the guidance of Mestre Calango. Having moved to the USA from Rio de Janeiro at a young age, Bruno began studying martial arts early in life, jumping at the chance to train in his native martial art. Today he remains connected to his strong Brazilian roots. His philosophy is not to achieving some elusive goal or ideal, but to train for the love of the art.